Jayden Eynaud has improved his record to 4-0 as an amateur after a 2nd round TKO win over Marty Tucker from the C4 Gym at the Fightworld Cup 14 Event held on the 13th of April. The first round was quite even, with both fighters moving well, Tucker was able to stop all but one of Eynaud’s take downs the last of which was a big slam right at the end of the first round. 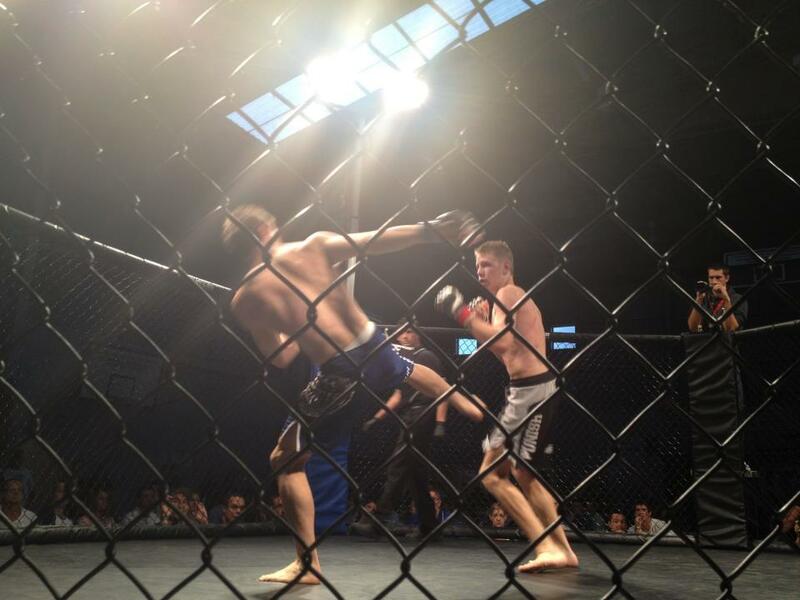 The slam left Tucker hurt, and Eynaud moved in for the kill in the second round, landing a head kick and a crisp straight right punch that rocked Tucker and sent him to the canvas. Eynaud then swarmed with punches looking to finish Tucker off, but Tucker was smart at surviving and held on valiantly. Eynaud then took side control, mount and as Tucker tried to bridge him off Eynaud took his back. Eynaud looked for the rear naked choke finish for a while but Tucker defended well. Eynaud then flattened Tucker out on his stomach and rained down punches until the referee stepped in to stop it.